Take a 10” X 6” shallow baking tray. Grease the pan with ghee. Line the pan with butter paper and grease the paper with ghee. Take a bowl and place sieve above it. In the sieve add maida, cocoa powder, baking soda, salt and powdered sugar. Sieve the mixture to mix all the dry ingredients properly. It is advisable to sieve twice to mix all the dry ingredients well. Here I have used a microwave-grill-convection oven. One can even use an OTG to prepare this cake---but just adjust the baking timings as per need. Preheat the oven in Convection Mode at 180oC. Fix the hand mixer and its bowl to the stand (One can even mix with a whisker). Add the sieved dry ingredients to the bowl and run the hand mixer at low speed. Now add oil, vinegar and essence. Then add 1/2cup of Chilled Soda Water to the above mix and mix well. Remember—after adding chilled soda water the cake mixture it has to be baked immediately. The dissolved carbon dioxide in the soda water mixes with vinegar and baking soda. During baking the carbon dioxide is released which makes the cake mixture rise making it light and fluffy. So it is important to bake the cake immediately before the carbon dioxide vanishes from the mixture. Add the cake mixture in the prepared shallow pan and shake it lightly to spread it evenly all over the pan. Place this cake pan in the preheated oven and bake at 180oC in convection mode for 15 minutes. Test the doneness of the cake by inserting a tooth-pick. If the tooth-pick comes out clear—that indicates the cake is perfectly baked. If cake batter sticks to the tooth pick, then bake it for some more time. Here, the cake is baked in 15 minutes. Do not remove the cake pan from the hot oven. Keep the pan in the hot oven for 2 minutes and then remove it and place it on a wire rack to cool. It is essential to cool the cake completely before applying icing on it. Do not forget to wear mittens / gloves while removing the pan from the oven. Take a mixie jar and add sugar and corn flour. Run the mixer grinder to powder the sugar and corn flour. Take a bowl and place fine sieve on it. Add the powdered ingredients in the fine sieve and sieve it. The sieved powder will be fine to touch. One will get approximately 215gms of fine icing sugar with the measurements given above. Do not throw away the residual coarse sugar obtained after sieving the powder to be used as discussed later. Take one cup of water and add required amount of the residual coarse sugar obtained after sieving the sugar powder used to prepare icing sugar. Mix well with a spoon till it dissolves. There is no specific measurement for this solution—if the sweetness of the solution is less or more it doesn’t not matter. Crumble the paneer and add it to a mixie jar. Grind the crumbled paneer to get grated paneer. Add icing sugar, milk and essence to the grated paneer and grind well to get a smooth paste. The paste should be smooth and not grainy. Add milk accordingly and make the paste. Here, for me, 70gms of milk was sufficient to obtain a smooth icing. If, by any chance the icing is thin in consistency, do not panic. Place this mixture in fridge for some time. The paneer absorbs all moisture and becomes thick. So prepare the icing with chilled paneer and chilled milk, just before you decide applying it on the cake. With the measurements given above we get 400gms of icing. Take a big mixing bowl and invert it. The bowl should be of sufficient height to enable us to ice the cake comfortably. Place a plate on it which should be able to freely turn on it. Here I have used a microwave turn table as the rotor plate. Take a card board and wrap it completely with aluminum foil and secure it with a tape. Use this as a base to place the cake. Now let us start icing the cake. The cake when completely cooled, which appears a bit sticky to touch. Take some icing sugar in a tea sieve and dust it above the cake all over. The corn flour in the icing sugar absorbs all the moisture and makes it easy to handle. Now measure the cake length wise and cut exactly at the midpoint to get two equal parts. Take one portion of the cake and place it on the prepared card board—dusted portion touching the card board. Sprinkle some sugar solution to wet the cake lightly. If you have a kitchen spray you can as well put the sugar solution into the spray and spray the sugar solution so that it evenly wets the cake. Now place a blob of icing on the cake and spread it evenly till the edges with a clean palette knife or a spatula. Place the other portion of the cake—this time dusted portion facing you (upwards). Again place some icing and spread it evenly with the palette knife. Wet the palette knife and rub the icing to get a smooth texture. If desired, one can even apply the icing to the sides of the cake also. Take some grated chocolate and dust the top of the cake evenly. Grated chocolate goes well as a cake decoration especially for chocolate cakes. Now this can be served as a birthday or party cake. But here we cut this cake to make pastries. Cut the cake into desired pieces. Here I have cut the cake to make 4 pastries. Take a piece out with the help of tongs or a palette knife and serve in a plate. Interested people may decorate the pastry further. Here let us see a simple way of decorating the pastry. Take an icing syringe with a star nozzle attached to it. Fill the icing syringe with some icing and pipe it in the center of a pastry into circles to get a flower like design. With art in one’s hands and in imagination decorate the pastries and enjoy the praises of your family members. Powder the sugar well so that it mixes well with all the other dry ingredients when sieved. Do not remove vinegar from the bottle until you add it in the cake mixture. Exposing to air removes the power of vinegar. Use sealed fresh chilled soda water for best results. Get the smallest size bottle / can available; there will not be any wastage. Open the seal just before adding to the cake mixture. As this is an eggless cake it will not fluff as that of a cake in which we use egg. So it is better to use shallow pan rather than the usual cake pan to bake eggless cakes. When using usual cake pans to bake eggless cakes, there is chance of the cake not cooking well in the center. So always use a shallow pan for baking eggless cakes. Layering makes the cake look full and also fluffy. Sieving the ingredients mixes them properly. It is advisable to sieve twice for best results. If you are in a hurry and it is not possible to sieve twice, at least, sieve once. When you find leisure time sieve the dry ingredients and store in an airtight bottle in fridge. As and when you feel like preparing the cake, just add the wet ingredients and prepare the cake. Use only convection mode to bake the cake in a microwave-grill-convection model ovens. One can even use an OTG (Oven-Toaster-Grill) to bake this cake. Adjust the timings of baking according to the oven instructions. Test the doneness of a cake by inserting a tooth pick. If the tooth pick comes out clear—that indicates the cake is perfectly baked. If cake batter sticks to the tooth pick, then bake it for some more time. Here I have used a hand mixer to prepare the cake batter. If one doesn’t have a hand mixer, one can even use a mixer grinder or just a whisker to mix the ingredients. After the cake is done, allow it to rest in the oven itself for at least 2 minutes. The heat in the oven will make the cake firm. Cool the cake completely before applying icing on it. The corn flour in the icing sugar makes the icing firm. This corn flour will soak excess moisture when dusted on a cake and makes it non sticky. The 400gms icing is sufficient to make this pastry. However having a little more icing on hand will help us psychologically. So prepare 1 ½ times (600gms) when you are preparing for the first time. If you wish to ice the cake on the sides also, then maybe you will need twice the amount used here. Also if some extra icing is left, children will be happy to finish it off. Instead of using essence if we use cardamom powder for fragrance, then the left over icing (after kept in fridge for some time becomes thick) can be made into flattened balls and can be served as pedas. In any way, it will be light on stomach only as we are using low fat paneer and low fat milk. Unlike the cream/butter in normal icing we have made low fat cream using paneer and milk which is light and good for health for all ages. The icing will become thicker when kept in fridge. So make it just before icing the cake. If, by any chance the icing is thin in consistency, keep it in fridge for some time and it becomes thicker. Before icing the cake it is better to wet the cake with sugar solution. The fluffy cake grains sticks to the icing when applied directly. When we spray the cake with sugar solution the wet cake grains will not stick to the icing. So we will get a white and smooth icing on the cake. Also, after baking, the cake will taste less sweet and the sugar solution sprayed on it will enhance the taste. To get a smooth finish of the icing on the cake, wet the palette knife by dipping it in water and then smooth the icing with it. If using butter/cream in your icing, use warm water to dip the palette knife to get the smooth finish. Though it is an eggless cake, it fluffs well and tastes divine. 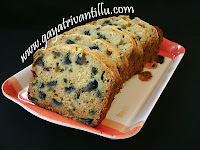 Make this cake fresh and enjoy with all your family members. We are never sure how old the commercial pastry is and there is always an inhibition that the first bite may leave a stale flavor and taste in the mouth. The pastry made at home is ours and we know how fresh it is!!!!! I want to say thank you at first for showing very very good recipes. I just saw egg less chocolate cake. I am feeling to do that. But i'm little worried of measurements. You are measuring some of the ingredients in grams. We (who lives in abroad) don't know how to measure in grams. Can you please give them in cups or spoon measures also? That way we also make your recipes and can enjoy them. measurements in cups and spoons are never same, because depending upon the cup sizes and how much we pack, the quantities differ. Therefore I suggest my viewers to have a small kitchen weighing scale for surely succeeding in making the recipes. 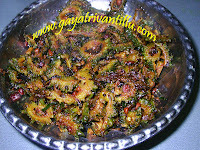 Kindly visit my kitchen aids videos where I have discussed more. I have made the eggless pasty cake using the recipe I found in your pages. The good part is that it has come out very fluffy - which i never got with my previous attempts. However, the cake tasted a bit sour and left a slight bitter taste in the mouth after eating. I have followed the recipe accurately and the process followed was exactly the same listed out in your pages. Can you please let me know where did I go wrong and what needs to be done to avoid getting the sourness & bitter taste in my next attempt. Gyatri garu eggless choclate cake recipe chaala bagundi.chudangane try cheyyalanipisthondi.kani unfortunately ippudu naa oven padaipoyindi.so cannot do it right now.Mee website lo chusi capsicum-menthi kura chesanu.bagundi.we liked it.Paneer tho icing first time vintunnanu.try chesthanu oven baga ayyaka.